Best friends are always special and their birthdays are all the more special. We all do something different for them to make their birthday a beautiful memory. Usually we send them greetings or gift them a present but we often forget that to make their day a memorable one, we must do something that is heartfelt and touching. 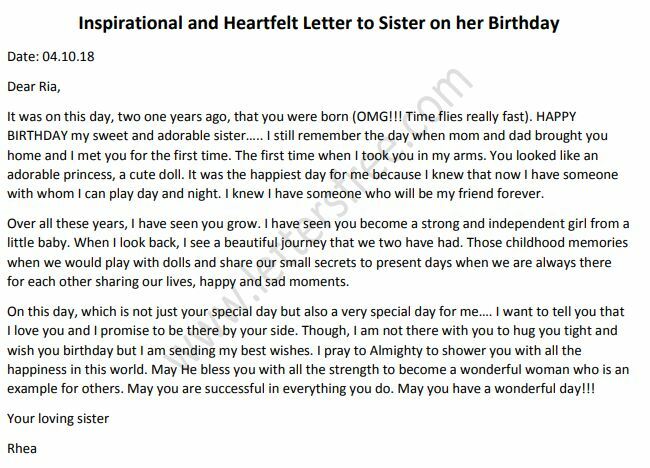 Wish your dearest friend on her birthday by writing a personalized letter to her. This would surely make her day special as there is nothing better than a loving heart….. I am so happy that you are going to be completing the 18th year of your life. We have known each other for the longest time and I know what you must feeling like to take a step forward to a new phase of your life. This is the time we have been waiting for…. Completing school and heading for college. For all these years, we have dreamt of going to college together and this is the year when our dream is going to come true. I really pray to God to that we both stay together even in college because there are many more things to do, many more things to explore and more life to live. You are the closest friend I have. You are that one person with whom I can sit and talk to for the longest time. We don’t need to go to a restaurant or engage in specific activity to enjoy each other’s company. With you I can just be me. I can speak what I think, without using a filter. I can share my clothes, feelings and crushes. And this is so because you are a wonderful person at heart. You are truly an amazing soul and a friendly person. Now, as we move out of school and step into university, we are going to come across lots of new opportunities to move ahead in life. I really pray to Almighty to make right choices and to always walk the path of success. I hope that you shine bright in your studies and win hearts of people around you. I hope that you face challenges of life with strength and confidence and never give up to the tough times. And I promise that I will always stand by you, through good and bad, happy and sad in your support. As you step in an important year of your life, I am as excited as you because together we have so many plans made for the new life that is waiting for us. Your birthday is a reminder that our friendship has got another year old. 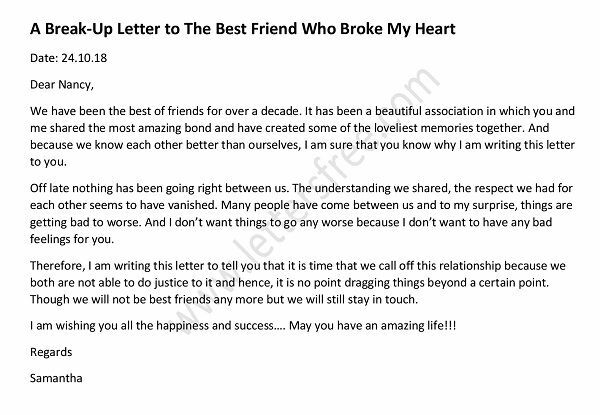 And before I end my letter, I just want to say that I love you my buddy. Thanks for being my best friend forever. Let us gear up to explore more years together…. 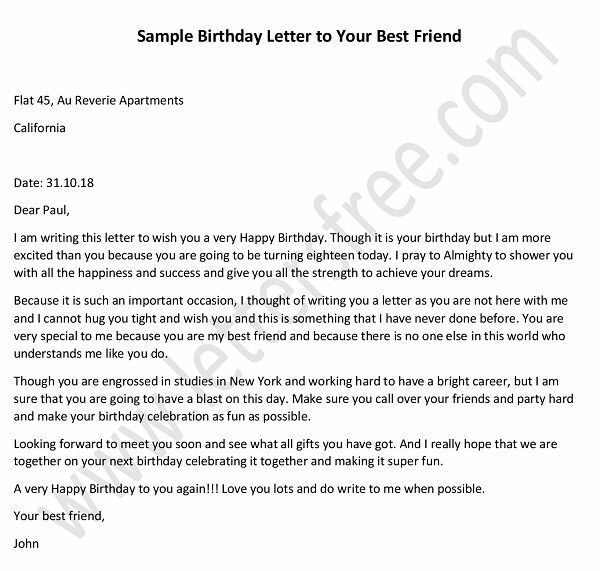 Given Below are a few Birthday letter samples for a clearer Ideas. It’s your sister’s birthday!!! Surely a very special occasion because it was on this day she came into your life. First of all writing a letter is an art. Some people do have this art since birth and some has to inherit from their surroundings. Love is a beautiful act of nature. There are so many reasons and ways to express your love for someone special in your life. LOVE is considered as the touchiest feeling in the world. Every person in the world at any point of time come across with this kind of feeling which is called love. Writing of any type of letter is an art but writing a birthday letter to your daughter is a superlative task as you are writing this letter to your princess daughter. Birthdays are the most important part of the human life as only this is the day which is theirs only to celebrate with their friends/relatives or with their mates.